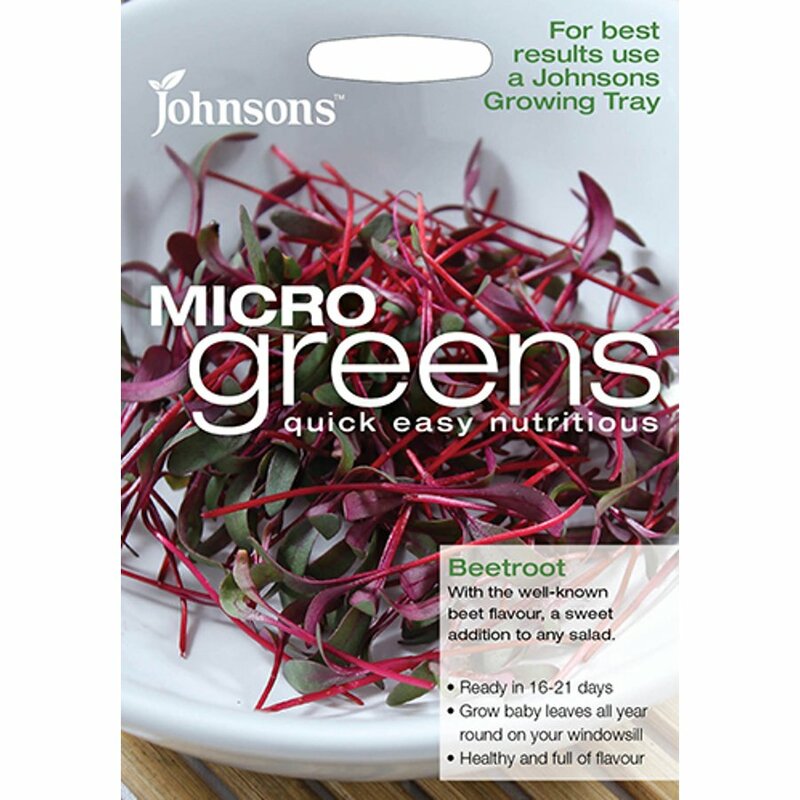 Using Johnson's Microgreen's Growing Tray, you can have fresh beetroot micro-leaves in just 16-21 days that are strikingly coloured and full of flavour. 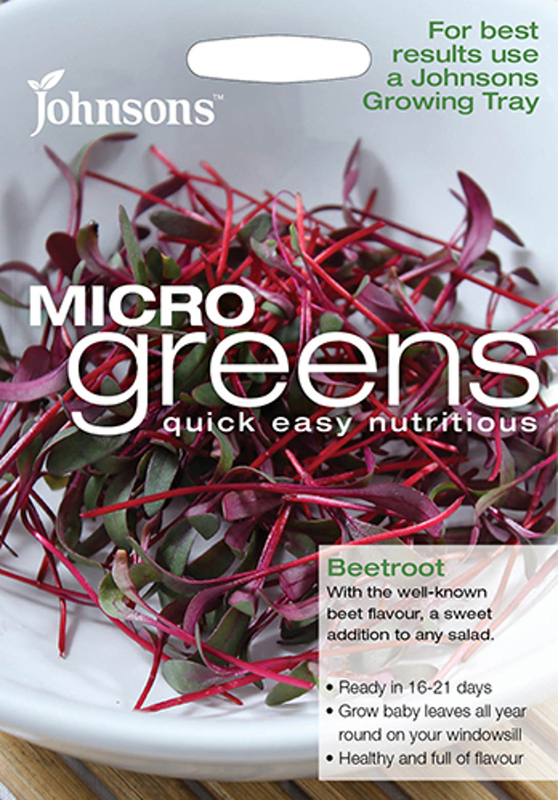 These Microgreen seeds will produce your very own delicious tasting Beetroot/ Beta vulgaris that will be a wonderful sweet addition to salads, soups and sauces all year round and are especially good with garlic. 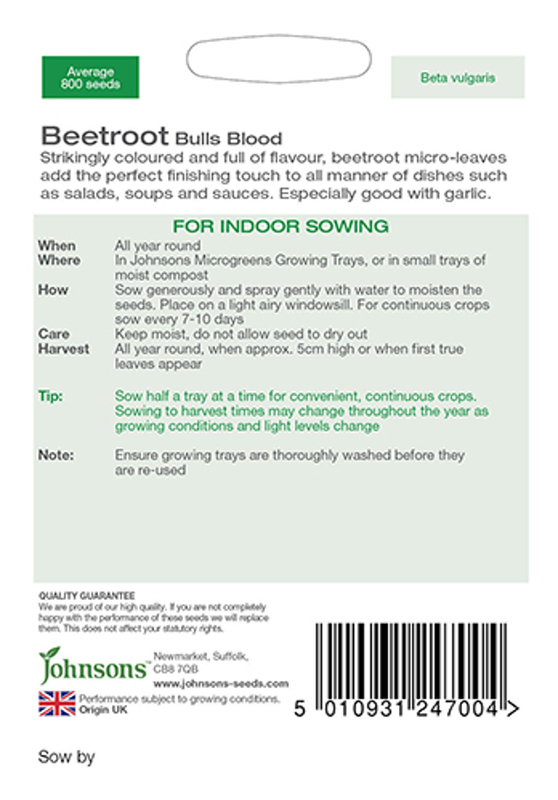 The Johnson's Microgreens Seeds - Beetroot product ethics are indicated below. To learn more about these product ethics and to see related products, follow the links below. 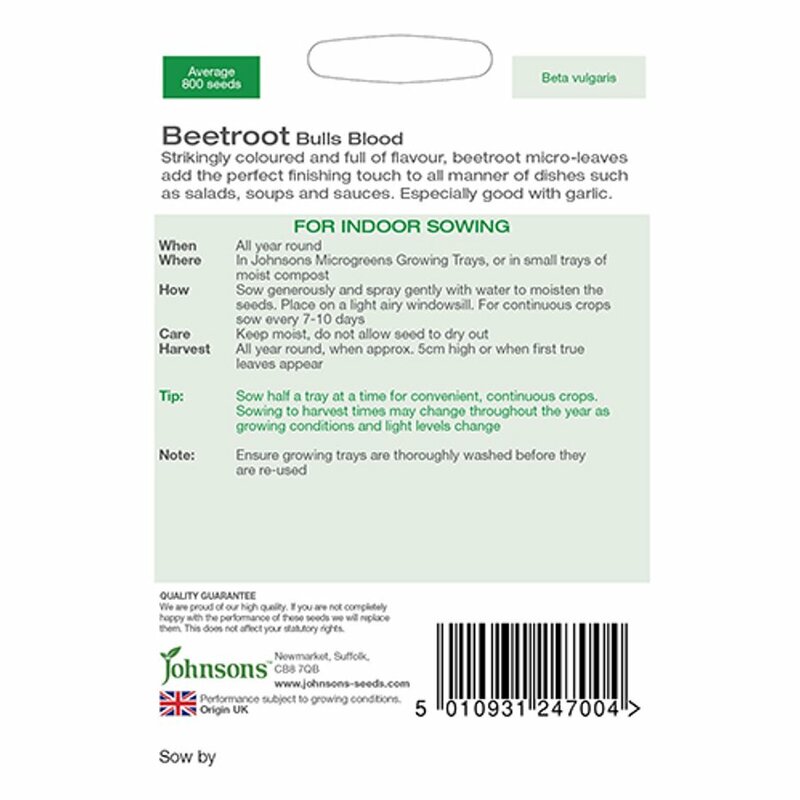 There are currently no questions to display about Johnson's Microgreens Seeds - Beetroot.